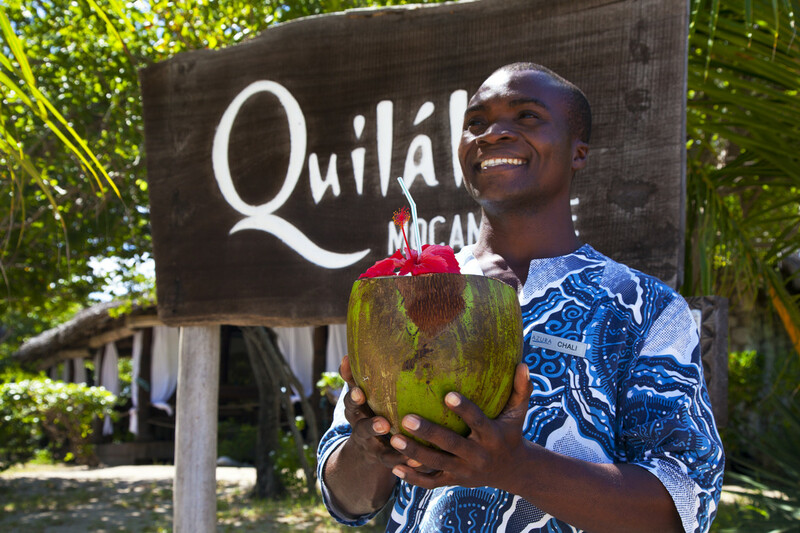 The Azura team is here to welcome you, and go out of their way to make your stay at Azura Quilalea special. Our core philosophy is that every day should be different, and we should wow you during your stay with us. That starts with providing Mozambican hosts to look after you Our guests come to love them so much they often ask to take them home! They’ll take care of you during your time with us, including serving your meals, running down the beach with a table and chairs if you want lunch at the water’s edge, or serving cocktails to your beachside sala as the sun goes down. Each ‘public’ area of the retreat is designed with its own particular ethos in mind, creating unique vibes and experiences out of which guests will find their own favourite haven, be it relaxing under the trees, a perch at the bar, or a dip in the main feature pool. The main bar area offers plenty of areas to relax in, including a chill zone with large cushions for lazing around, while the pool is surrounded by day beds where you can settle with books or enjoy sun-bathing. Wi-Fi is available in the lounge, bar and pool deck area and is offered on a complimentary basis to our guests. 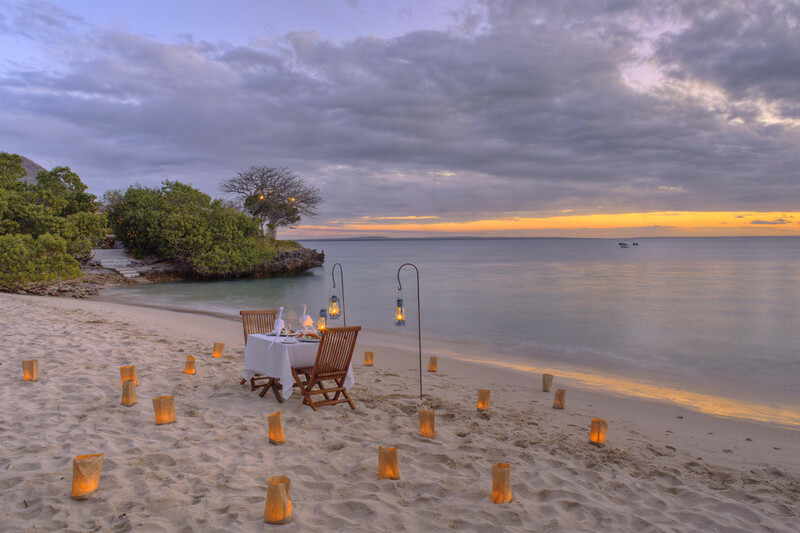 At Azura, dining is all part of the experience, from breakfast at the water’s edge, to a picnic on a sandy island, to dining on a candle lit beach beneath the stars. Our menus are based on what is fresh and available, with a focus on light meals, simple ingredients, and lots of fresh fish and seafood. The huge Mangrove Crabs are a particular speciality, as well as Crayfish which is available in abundance. We always offer a choice of dishes, and our chef will happily try to accommodate any personal requests that you may have. Azura offers unique African Spa treatments at the beautiful cliff top spa with the calming sounds of the waves lapping against the rocks. Signature treatments use only natural ingredients sourced from the wilds of Africa, for the ultimate relaxing and pampering African Spa experience. Should you prefer, treatments can also be set-up in the comfort of your villa. 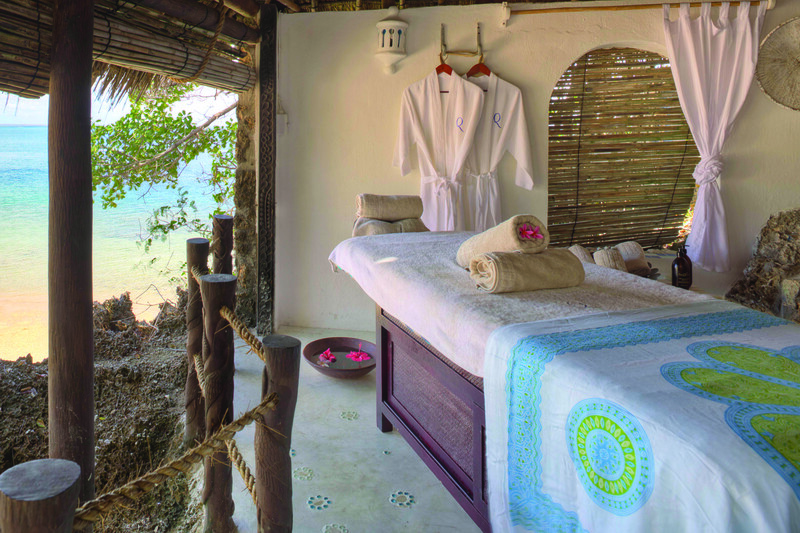 Azura African Spa is owned, managed and operated by Indian Ocean Eco-Islands Limited. 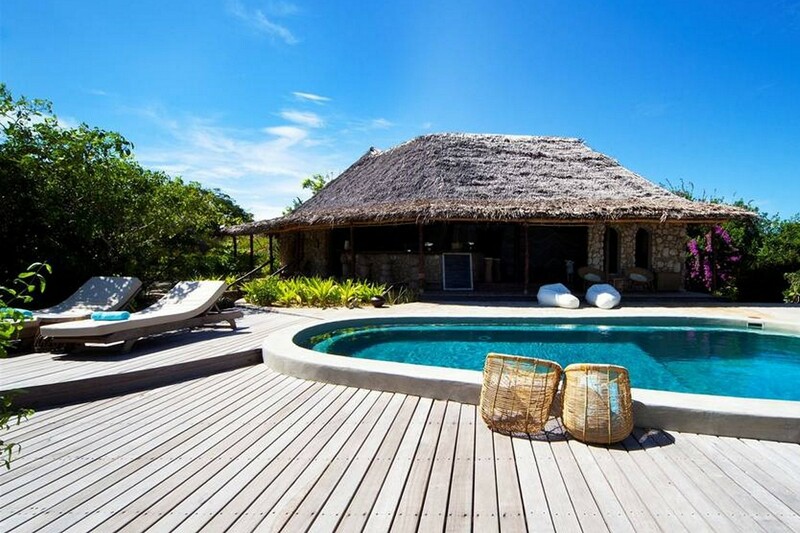 Azura at Quilalea Private Island is a wonderful place for a family holiday. 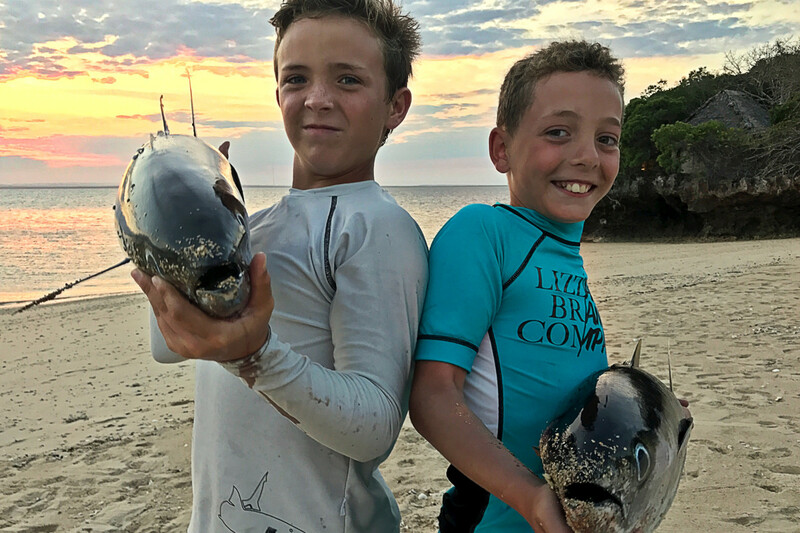 Snorkelling, fishing and scuba diving are all fabulous activities for children to undertake. Little ones as young as 4 can learn to snorkel under the careful guidance of our snorkelling instructors. Older children and teens will love to learn to scuba dive. For the very young, there are soft white sand beaches for sandcastle building, and easy swimming conditions at the main beach. Older children may be interested in the giant baobabs, or learning about our community projects, and young ornithologists can try and spot our 134 species of birds.